For all relevant poins. Exact same light is being captured, exact same DOF, exact same SNR (assuming same read noise and QE). the Exposure Value (EV) will be different. 1/125 sec. f/4, ISO 200 on a 4/3 sensor does not have the same exposure as 1/125 sec., f/2, ISO 200 on a FF camera! The FF photo will be underexposed by two F stops! Who cares what the exposure will be? The same exposure causes different effect on different formats, so why insist the same exposure? Because you need a properly exposed shot! You are playing a game with me, aren't you? Ok, where's the problem? Do you know what ISO is and why that is irrelevant? Well, I have got to hear this. Tell my why ISO is irrelevant. I understand exposure perfectly. 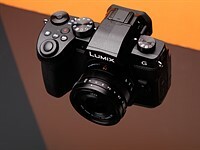 It's got three parameters - ambient light, aperture number and exposure time. However, using the same parameters the results will be different with different systems. Not quite but close enough. The parameters are shutter speed, medium sensitivity (ISO for digital) and aperture. yes, you understand. DOF, and DOF only is the same. Obviously exposure (EV) will not be the same. (ie. f/2 on 4/3 gives the DOF of f/4 on FF) . This is not rocket science. If your DOF tables disagree, you should see what's wrong with them. What I was asking you to do was to look at those two tables at a focused distance of about 8-10 feet. The distance you are going to be at taking a head and shoulders shot. Good God, do you have the capacity to follow an argument? DOF is part of image quality. So far you've been preoccupied with DOF. Then I mentioned that stopped down lens tend to work better than wide open one, so FF has an advantage. Except stopping down causes other problems-slower shutter speeds or higher ISO's. Did you see the OP's original picture. You can not get the full head, front to back in focus on a tight head and shoulders shot using a FF camera at ten feet with an 85mm lens at f/1.8. The DOF is only 3 inches. So now it's only about DOF again? Do you not understand that he could have stopped down to f/3.6? Not if he wanted to use base ISO. That would equal m43 42.5mm f/1.8. Or is stopping down impossible? sometimes it is impossible, unless you are going to introduce artificial lighting. Those are the standard print sizes in the U.S. The only print size in the U.S. that matches a 3:2 aspect ratio is 4" x 6" (hardly an enthusiast size print) and 20" x 30", which hardly anybody prints on a regular basis. Rubbish. You know I have an internet connection and I have checked that to be false. So please stop spreading your nonsense. Well, tell us what the truth is. What are the most popular large printing formats in the U.S.? I can use the internet and I've checked out lots of print labs. They all print to all kinds of aspect ratios. There is no advantage to any single aspect ratio. Unless you view on the telly or computer screen when 16:9 ratio is often best - that's far from 4:3. Actually, that is your homework that I gave you. And what is "large size" - to me not A4 - and btw, A4 is not the most common in Europe as people print in the aspect ratio they shoot whenever possible and nowdays all the ratios are available. Name one on line printer where "all ratios are available". Look at standard pricing charts for enlargements. They only show the popular sizes. And who cares what most printed is. What matters is what you can print. Most people at home can only print up to 8.5" x 11" U.S., or A4 U.K. because their printer can't print any larger than that. If they want something larger, most people go to a printing service. The vast majority of computer screens actually in use today is 4:3. Are you on drugs? Or in the '90s? They're almost all 16:9 nowdays with some odd 16:10's there. 4:3 is almost unused nowdays. Just like the TVs, the big screens you can watch soap operas and photograpsh. Except that most TV's in actual use are older models. The next most popular size is 16:9 which matches neither 4/3 or 3:2. 16:9 is heck of a lot close to 3:2 than 4:3. Can I not use it at f/4? Not if you need a fast shutter speed at base ISO. So many times you understand that lenses can be stopped down. Ok, do you not understand that f/4 on FF will collect the same photons m4/3 collects at f/2, thus they can use the same shutter speed and get the same noise levels. Please try to understand what limits the shutter speed. No, that is not the point you're trying to make. Odd, how you insist that both formats should be used 'wide open'... where is your logic? Must be old. Seriously, whendo you live? In 2014 it is difficult to find TV's which are not 16:9, well over 90% of all computer displays are 16:9, both laptop screens and monitors. Most TV's in use were not bought in 2014, or 2013 or 2008 for that matter. Most TV's in use are about ten years old. But you get a diffeent iimage with FF and m43? Do you not understand that you will get essentially identical image with FF f/4 to m43 f/2 if the shutter speed is the same. But you are not going to be able to use the same shutter speed! Have you ever used a hand held light meter? Do you notice that none of the suggested EV's and none of the possible aperture/shutter speed combinations depend on format size? Sure you may need to use ISO 400 instead of ISO 100, but the image quality will be essentially identical (same amount of light will be collected). Sometimes you do not want to use ISO 400. Sometimes you even want to use and extended ISO like ISO 100 or 64. Why do you think they even provide these extended low range ISO's. Do you have any idea why photographers find these desirable? So it is not intellectually honest to claim that m43 is better because you use different minimum IQ requirement for each system. FF is better for some things (shallow DOF wide angle shots), 4/3 is better for other things (head and shoulder portraiture) and MF is better for still other things, and really small sensors are better for other things yet (wide ranging, 30x fast zoom lenses) . If we followed your logic, there would be no end to the contention that larger sensors are always better because you can always stop down. If that were the case we would all be shooting medium format! Good, as there is no logical reason for your argument. Do you think that m43 with f/2, 1/200, produces a different image from FF with f/4, 1/200 if equivivalent focal lengths are used (eg. 45mm vs,. 90mm)? yes the images will be different. One will be twice as bright as the other. If not, then why you insist that FF can't be stopped down to f/4? Do I really have to go throuh all the zillion places people can print? And the only one too I guess. Interestingly they seem to have less options than the average el-cheapo in my country. Let's see, Youk Photo: 4x6, 12x18, 20x30, 24x36. you skipped 5x7 and 8x10. The two most popular print sizes. I googled for photo lab usa and coult not find your favorite in the top three pages, and won't look further. Why shold I order photos from a place which orders so few options? There seems to be many more popular photolabs with much wider variety. So if you take a hot on m43 with f/2 you won't consider a FF lens of f/4? I would because to me a 90mm f/1.8 lens on a FF camera is pointless. I would rather have a 90mm f/4 FF lens- and in fact I do! lower left corner. Rokkor M mount 90mm, f/4. You insist on shooting wide open for illogical whatever reason. Just like medium format is no longer superior for portraits over FF once FF resolution became high enough for good large prints. Ah, so "good enough" is now the arbitrary limit you define in some arbitrary way and anything that offers more quality than that is not relevant. I see. Yes, that is it. You made the very same contention in another forum comparing the GH4 to a smaller sensor camera. Almost no on is using medium format for portrait work at the large commercial portrait studios (e.g. Yuen Lui) anymore. I wonder if cost has anything to do with it. and by using larger apertures possible with the 35mm format you don't have to use such powerful lighting, etc. Huh. Now you live in a fantasy world. Usually portraits are taken with artificial light (in the pro world), and the aperture is only used to control DOF and usually the DOF is large enough. Yes except using powerful continuous lighting is hot and uncomfortable on the customer. Using lower apertures allows you to turn down the power. If it ever becomes necessary to replace the lenses, I wouldn't be surprised if commercial studio's switch to APS-c or 4/3 sensors. It's just that m43 or APC-C offer no real advantages. The fast portrait lenses on small sensor are very expensive and even they are slower (and m43) than the medium fast ones on FF. (ie. 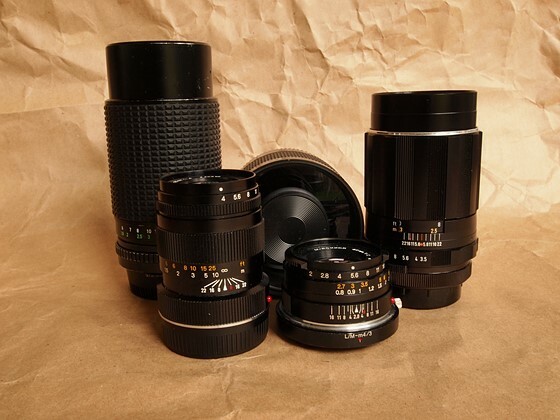 the f/1.2 Leica vs. f/1.8 85mm). Does Olympus or Panasoc have pro-support program CaNikon have? No, and that is why Oly and Panny will never truly be professional cameras. It is essential for pros (unless you talk about passport shooters). The real problem with APS-c is that the best lenses are still made for FF format. Some some, some are not. It's not the 90's any more.